Is there a cluttered space in your home that isn’t functioning anymore? Maybe it’s a medicine cabinet, a closet shelf, or a clothes drawer. The first step to an organized space is decluttering. Get rid of any items that no longer serve a purpose and are taking up your valuable space! 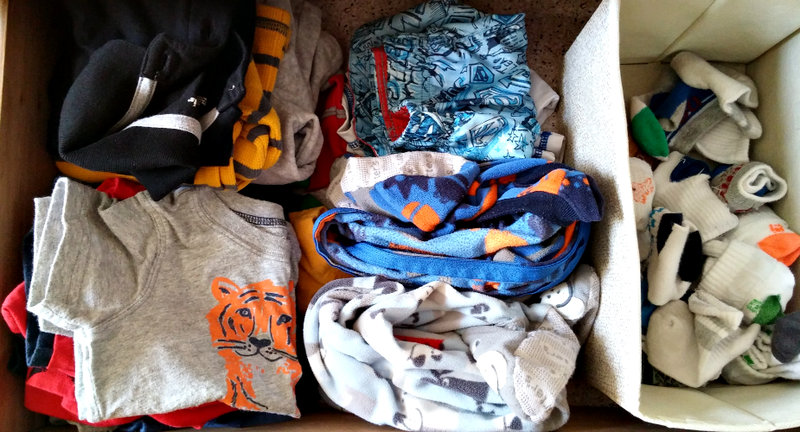 Last week I spent 10 minutes decluttering my son’s dresser drawers and closet. One of the drawers in my son’s room is used for grooming needs and it had become a chaotic junk drawer. I went through each piece and only kept what was serving a purpose in the drawer. A silverware container is great for containing small items that often get lost in “junk drawers”. 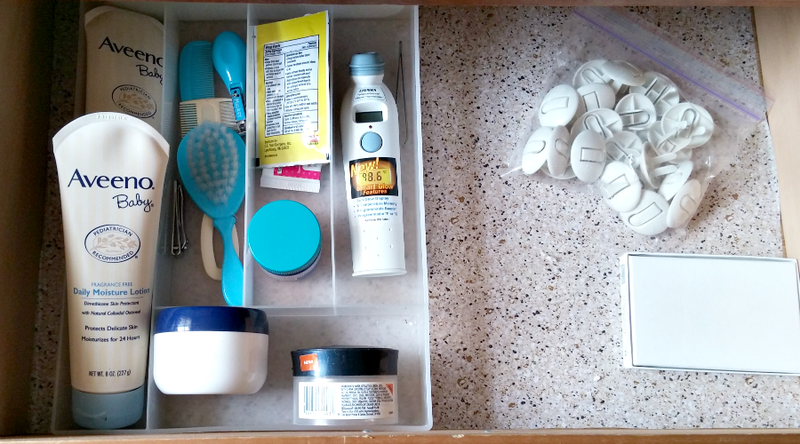 Junk Drawer: Lotions, Combs, Finger Nail Clippers, Thermometer, ect. I also rearranged his clothes drawers so that they were not a jumbled mess anymore. 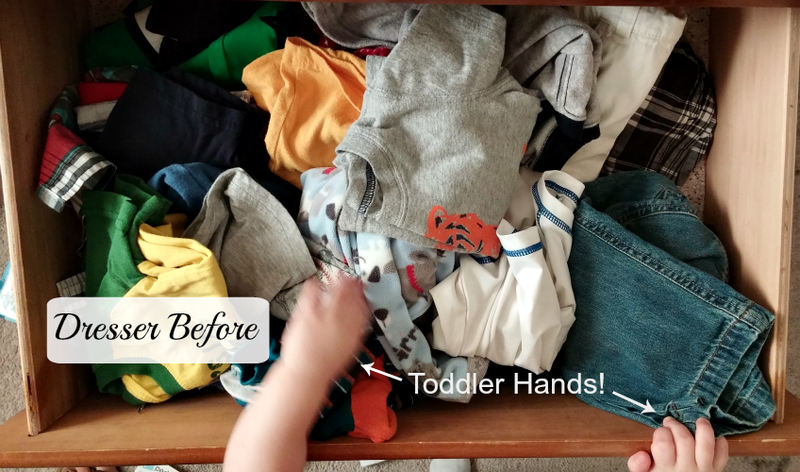 I purchased a small container from Dollar Tree to hold his socks, and then separated his clothes into long sleeve and short sleeve tops, and shorts and pants. Check out the video below for a tour of the whole dresser and the closet. What is a space in your home that could benefit from a quick declutter? Linking up with Talented Tuesday Link Party. Do it, Liz! 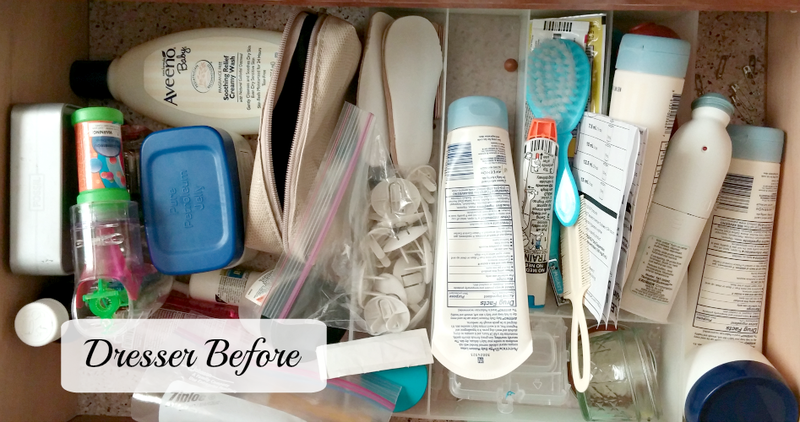 It will help your dressers function so much easier. Good work! I love decluttering! The utensil try is a great idea. I generally use small baskets and containers. I hadn't thought of the utensil tray! I have re purposed that utensil tray a few times around the house. It is great for small objects! Great job! I need to get back into my closet this week and finish it up. You have some great ideas for organizing. Thanks, Vickie. I enjoy using what I have to get my things organized. Closet seems like they are in constant need of organizing!